Modern hotels and resorts are often fabulous places, with great restaurants, lush pool areas, a variety of physical activities and many other attractions. If you’re visiting one during a vacation or business trip, you probably assume that the property owners have taken great care to ensure the safety of guests. But unexpected things can happen at hotels and resorts — things worse than bad food, poor service, or long lines. Hotels and resorts require constant maintenance and rigorous adherence to safety standards. When a property owner’s attention to these details falls short, guests can be seriously injured. Typical hotel/resort injuries may involve swimming or diving accidents, slip-and-fall injuries, elevator mishaps, fires, and bus or shuttle accidents. If you or a loved one has been injured at a hotel or resort, the hotel injury attorneys at The Law Offices of Frank L. Branson may be able to help. 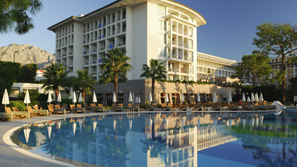 Hotel/resort premises-liability cases are not always cut-and-dried. It might be difficult to determine who is responsible for an injury, and pursuing a claim can be challenging if you live in a different state or country from where the injury occurred. But at The Law Offices of Frank L. Branson, we’re experienced in premises-liability cases, and if the hotel is liable, our lawyers will build a case that is persuasive, whether presented in a courtroom or at the settlement table. To learn more about our experience in hotel and resort injury related matters, we invite you to contact the firm here.